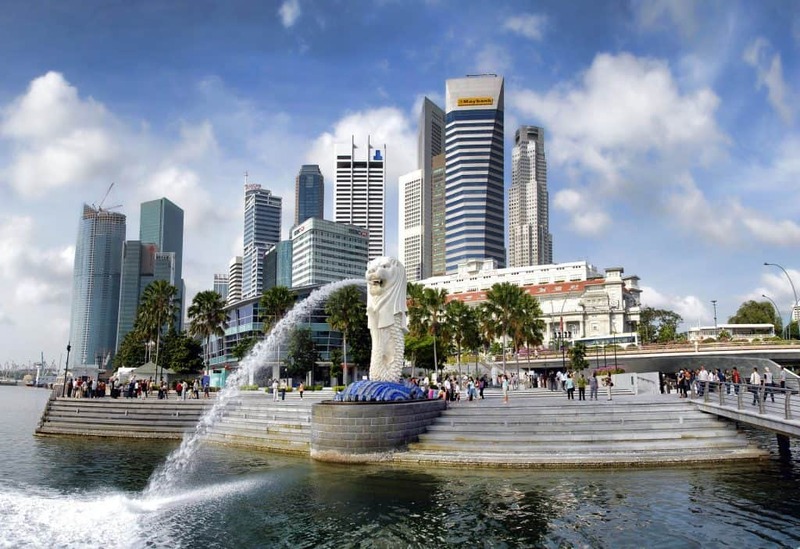 Singapore is a great city to visit whether you travel there on business or first time visit to Asia, Singapore is a city full of places to explore. Instagram isn’t new and its interesting to see the way it influences how we travel so I’ve put together a list of several different Instagrammable places in Singapore. Singapore is not only a stopover to other destinations in Asia, it is a world class city with many Instagrammable places in Singapore. I have visited more than 10 times to Singapore and I just cannot get enough and with the Changi Airport offering free tours of the city you should get out and explore Singapore the next time you are there. 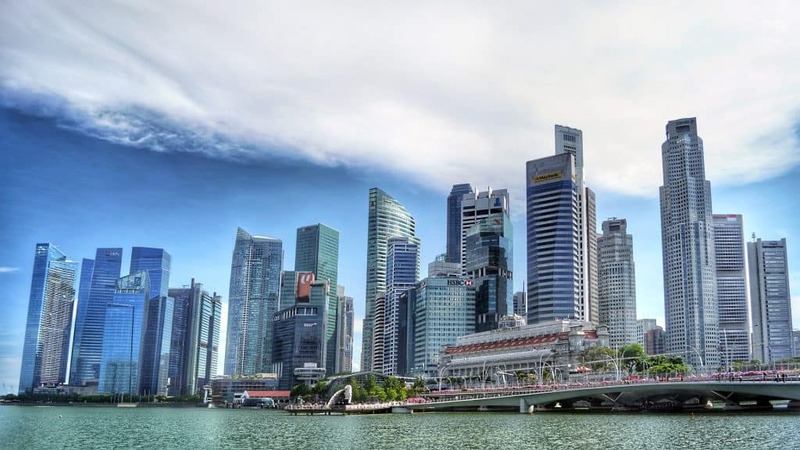 I could easily list 50 things to do in Singapore but I will focus on the top sites that cannot be missed attractions in Singapore for first time visitors. 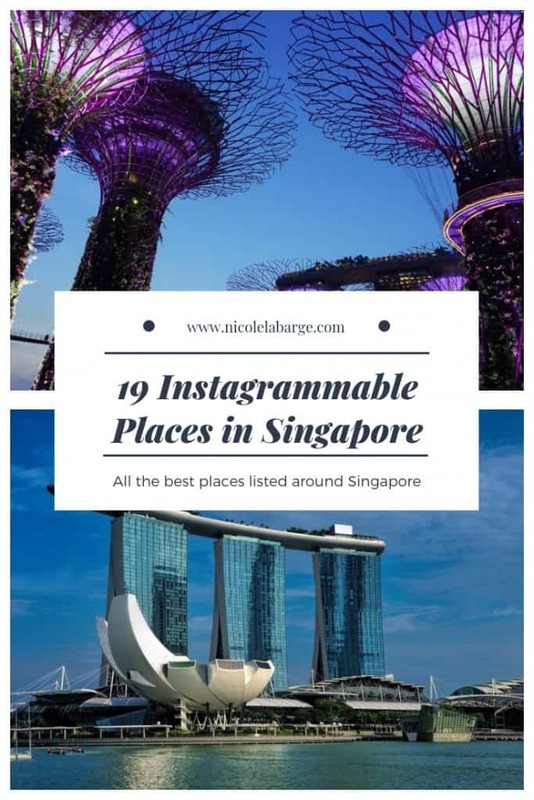 If you search Instagram for sites in Singapore you will get an overwhelming numbers of results. This list includes all the top landmarks, neighbourhoods and hotels to visit on your next trip. 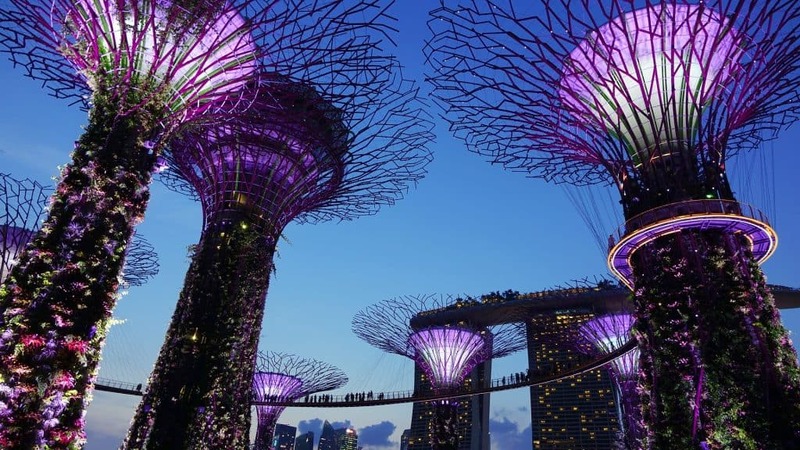 Take a look at these stunning places and see just how instagrammable Singapore is to visit. The first stop to make is Gardens by the Bay in Marina Bay for the supertree grove. The futuristic gardens and OCBC Skyway are my favourite spot in Singapore and great to visit at night and see the trees light up. You can walk along the Skyway up 20 metres in the air and see the trees and views of Singapore from there. You will also want to stop by the Far East Organization Children’s Garden and take advantage of the free water park and playground there. The gardens and many of the attractions are free. You do have to pay for the conservatories and the OCBC skyway – which is the 22 metre high walkway. For tourists, its S$28/S$15 (adult/child 3-12) for the conservatories and S$5/S$3 for the skyway. There is a nightly light show at 7.45 pm and 8.45 pm which is the highlight of the Gardens. Merlion Park is a Singapore Landmark along the waterfront. The half fish half lion water fountain is a popular site. This icon is a ‘must-see’ for tourists visiting Singapore, similar to other significant landmarks around the world. The body of Merlion is supposed to symbolize Singapore’s humble beginnings as a fishing village when it was called Temasek, meaning ‘sea town’ in Old Javanese. The head represents Singapore’s original name, Singapura, or ‘lion city’ in Malay. 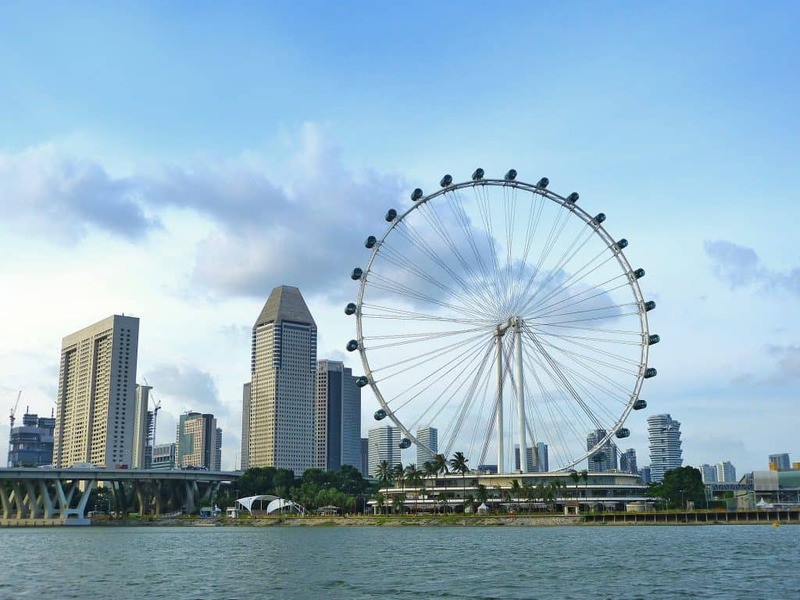 Another favourite is the Singapore flyer – similar to the London Eye – a ferris wheel you can ride and see views of the city. It is the second largest observation wheel in the world at 165 metres tall. The ride takes about 30 minutes and costs S$33 for adults and S$21. The flyer lights up at night so if you want to test your night shooting skills this is the place to do it but you’ll need to have a tripod and some advanced selfie shooting skills to get the shot. Also part of the Gardens by the Bay is the Cloud Forest an indoor cloud forest that has many unique plants. It is a beautiful backdrop with waterfalls and mist inside of a greenhouse. At the top there is the moss-covered ‘lost world’ complete with a lotus pond, and along the way there is also a stalactites and stalagmites display, an educational theatre and a plethora of flowers and vegetation, including lilies, orchids, pitcher plants, sunflowers and tassel fern. The cloud forest is open daily from 9am to 9pm and costs S$12 to get in. We’ve all seen the photos of the pool atop the hotel overlooking the bay. That’s Marina Bay Sands a luxury hotel and casino located in Singapore’s Marina Bay. This hotel was not here in 2004 when I first visited Singapore but it is now a famous landmark on the skyline of Singapore. The Skypark at Marina Bay Sands contains the famous infinity pool at 57 levels above ground allowing you to gaze down at the glittering city skyline. There is also an observation deck and restaurants and bars at this level. I’m not sure which is more impressive – the building itself or the views from the building. Take the Helix bridge – also an instagram worthy spot – across the bay and take your travel photos here as well. You will also find the ArtScience Museum inside the Marina Bay Sands. Here you will find the instagram worthy Crystal Universe – with 170,000 lights that looks like stars in the universe. The Capella is a 5 star resort hotel on Sentosa Island over looking the South China Sea. This resort is spread across the island and has lush grounds and gardens. This is a tranquil place to spend your time and the pools and gardens are Instagram perfect. 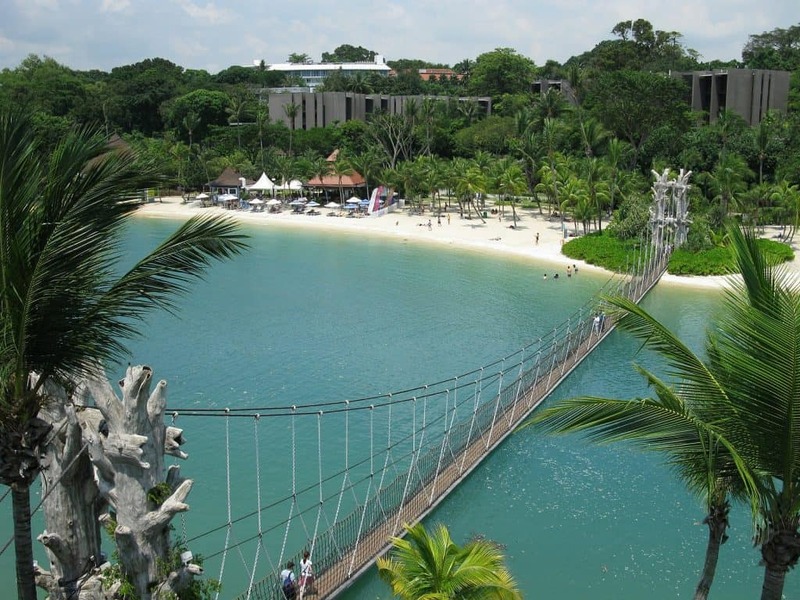 Sentosa Island is Singapore’s top tourist site and this island was made for Instagram. Here are the top five instagrammable places. 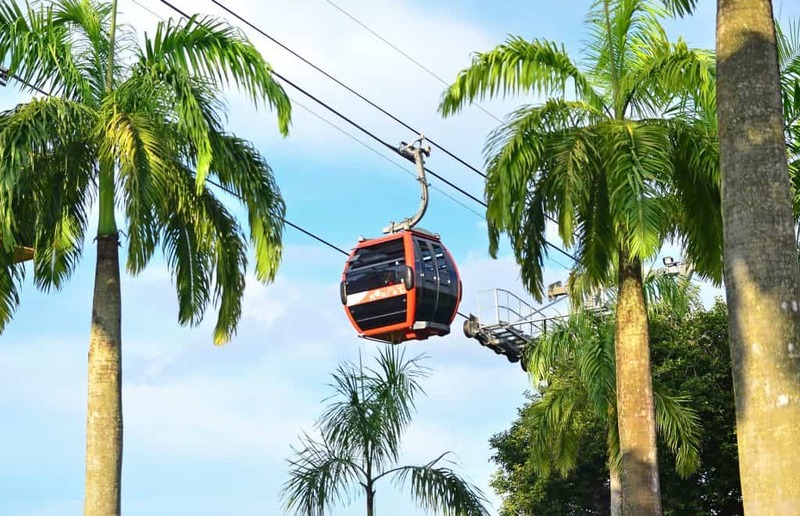 The Cable cars are a fun way to get to and from Sentosa Island. Take your photos in the cable car overlooking Singapore with the water below you. Such a cute photo op. 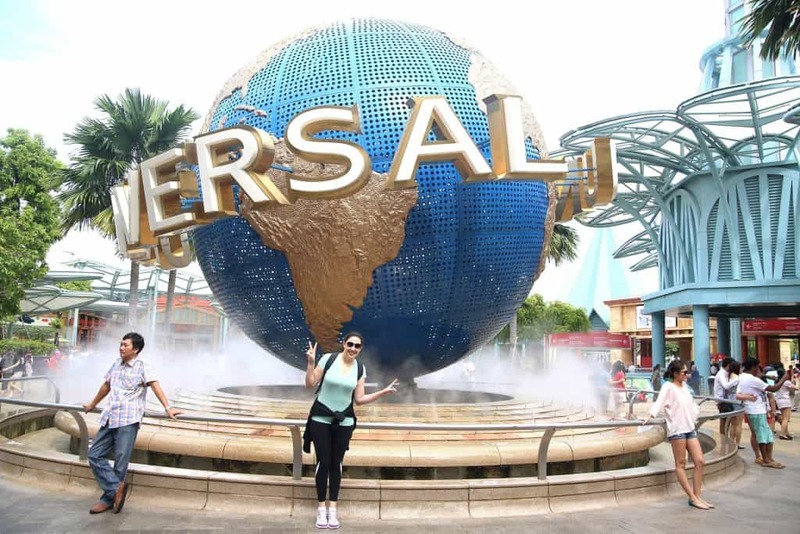 You do not need to pay to get in to Universal Studios to take a photo with the Globe. It’s right before the entrance and this is a great photo to take whether or not you are planning on spending the day at Universal Studios. Singapore is a great city to visit with kids as well. The blue hues and sea creatures make this the perfect place for Instagram worthy shots in Singapore. There is even a walk through aquarium where you can take photos of the sharks and fish swimming above you. This may not be your typical sand beach but the beautiful blue water here is perfect for a photo. My favourite is the suspension bridge across the water and the palm trees in the background. The perfect spot to walk along the waterfront on the dock and have the yachts in the background. There are also lots of places to eat and drink along the waterfront. Chinatown is a sharp contrast to the rest of Singapore with low buildings and small streets laid out in a maze. This makes the area feel much smaller and manageable. There are several photogenic places here but the best by far is the Buddha Tooth Relic Temple on South Bridge Road. 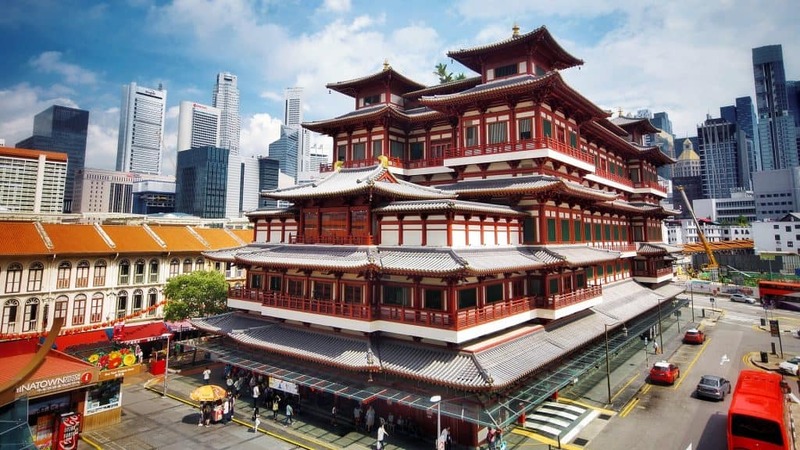 The Buddha Tooth Relic Temple is a four story building that is built in Buddhist fashion dating back to the Tang Dynasty. This temple is ideal for taking photos in front of as the area is quiet, the temple is unique and not to big to fit in a shot. Check out these other places to go in Singapore. There are plenty of sky-high views in the city, but this one is a little different. Located on top of the world’s tallest residential building, it costs only S$5 to admire the vista and is usually very quiet, especially as there is a cap on the number of people who can visit daily (200, so as to not disturb those who live there). This is the tallest building around, so you can see far and wide, across Chinatown and towards Sentosa Island. Little India is one of my favourite places to visit in Singapore – not only for the food but also for all the temples and photogenic buildings in this area. I have three favourite sites in LIttle India. Sri Veeramakaliamman Temple was built in 1881 and is dedicated to the goddess Kali. It is the busiest temple in Little India. It is free entrance to enter the temple and you will need to take off your shoes to enter. I think the outside of the temple is the best bit to photograph. The Abdul Gafoor Mosque was built in 1859 by a southern Indian lawyer’s clerk named Shaik Abdul Gafoor Shaik Hyder to serve many of Indian Muslim merchants. The mosque is a mixture of Arabian, South Indian and Roman styles with its many arches and onion dome. This is Singapore’s most colourful building, the House of Tan Teng Niah located at the centre of Little India. The House of Tan Teng Niah isn’t actually Indian. This building’s architecture is Chinese colonization and is the only survivor of its type in the neighbourhood. The India community can take credit for the rainbow of colours that the house is so famous for, as well as the buildings renovation and upkeep. Go to take a photo – or ten – then grab yourself a Biryani in the nearby courtyard for some particularly picturesque alfresco dining. 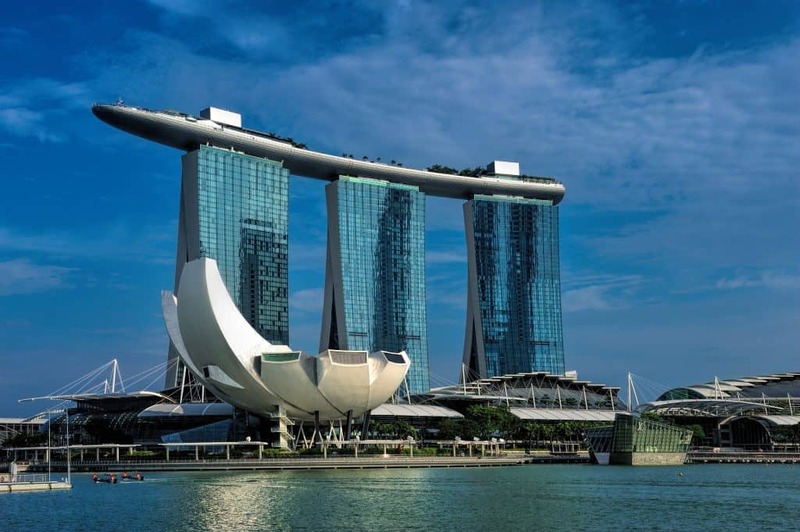 Depending on where you stay in Singapore you may want to make the visit but if you are short on time I would stick with Marina Bay and Sentosa Island. Here you will discover Peranakan culture and you stroll past colourful houses that used to be shop houses. This is also a foodie destination. This indie area has a lot of great places to eat and drink and is also home to a lot of murals and street art inspired graffiti. This 158 year old tropic garden is located near Orchard Road and is a Unesco World Heritage Site. Perfect for tropical photos while in Singapore. That concludes our list of the 19 Most Instagrammable places in Singapore. Any other places you would like to add? Save this pin for later for your next trip to Singapore. Check out this post for a complete guide to the neighborhoods in Singapore. Ah! I loved Singapore. You are right, so many out of this world spots, especially Gardens by the bay. Gorgeous photos! What a fun post! I think I’d like to shoot at the Crystal Universe at the Art Science Museum.